Style #T4520 If you love the look of traditional button-down pajamas but you're also searching for something that will reliably wick away moisture caused by night sweats, Cool-jams™ offers the moisture-wicking button down sleep shirt to help you create a complete set of breathable pajamas. 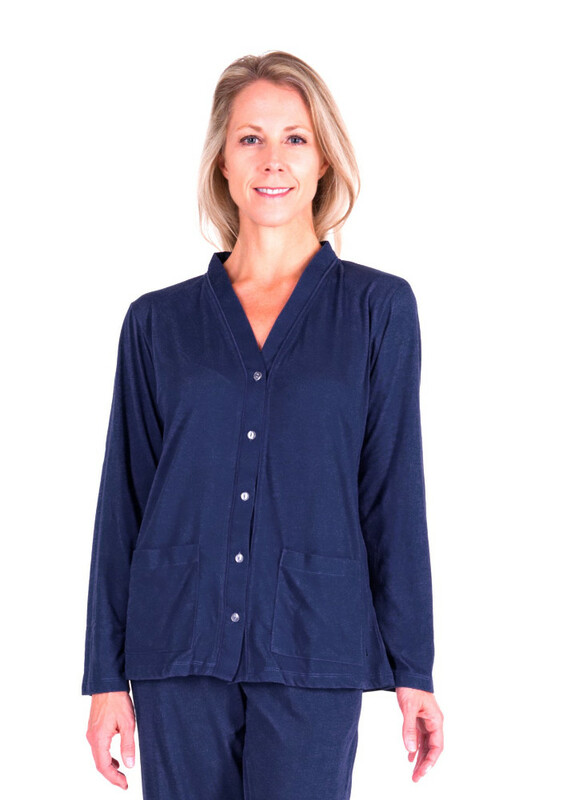 This stylish sleep shirt features long sleeves, a row of buttons down its front and two convenient front pockets at the bottom. 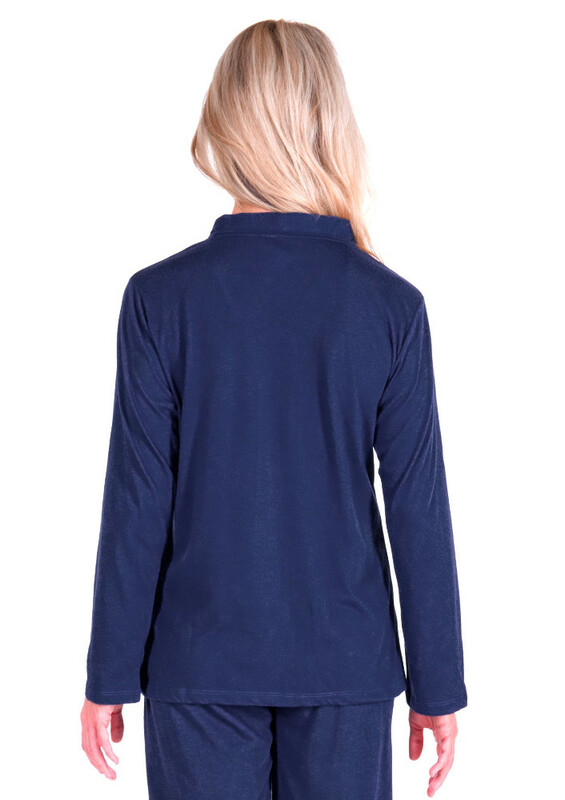 While the moisture-wicking button down sleep shirt offers full coverage for chilly evenings, it's also made of our special Cool-jams smart fabric that absorbs moisture and dries fast, keeping you fresh and at a comfortable temperature throughout the night. This Button-Front Wicking PJ Topper comes in a variety of colors that match the rest of our breathable pajamas line, so you can create your very own set using pants, shorts or capris. 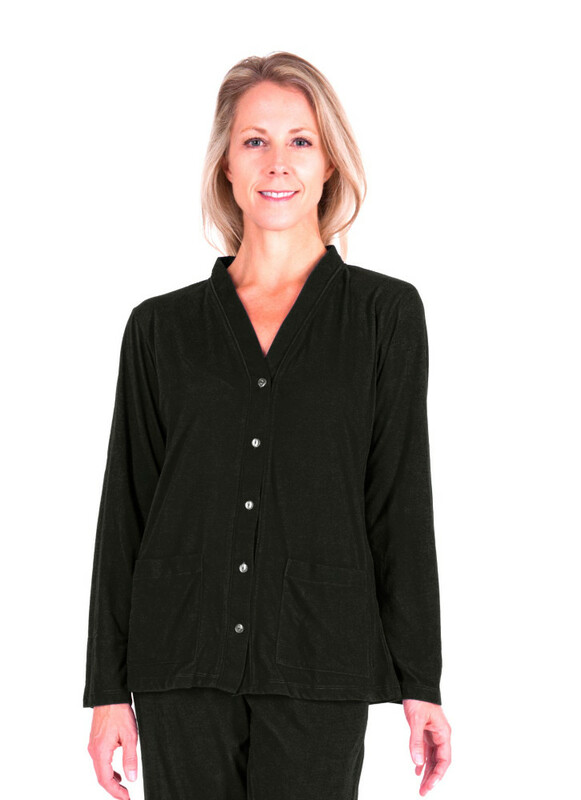 It is also lightweight and wrinkle-resistant, making it the perfect travel pajama shirt to fold away into a suitcase. Combine with our other breathable pajamas like our sleeveless tank top and our long pant bottoms to create a fabulous 3-piece set. Note: Size 2X is only available in Navy color. Wash in cool or warm water on gentle cycle. Never use fabric softener or fabric softener sheets because it will minimize the wicking properties of the fabric. If you accidentally use fabric softeners, re-wash the breathable pajamas in clear water to remove softener residue, so the wicking properties will return to maximum effectiveness. Lay your garment flat or hang to dry. 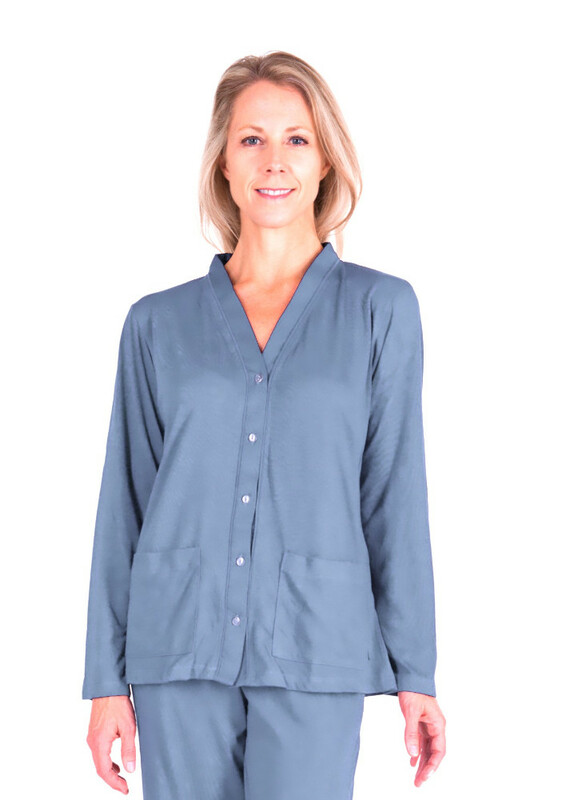 Tumble drying won't damage the moisture-wicking button down sleep shirt, but can sometimes create static. I am so comfortable in these pjs, they wick the moisture so I can sleep comfortably. I always wore flannels in the winter, but these do keep me warm. I bought this as a set with tank top and bottoms. So soft and effective for night sweats. Great item.